This season I am in love with this beautiful cherry red. I can't get enough of it! I usually shy away from this much red, but it feels so festive right now. 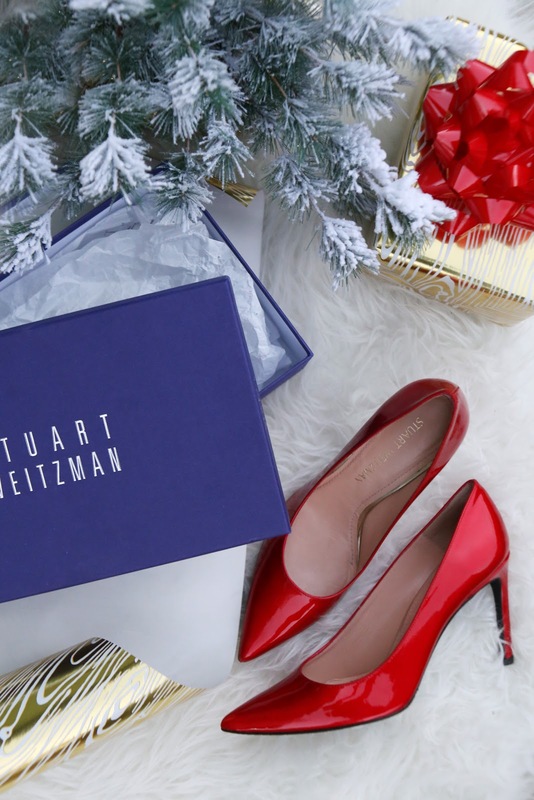 Today I'm so excited to be teaming up with Zappos and Stuart Weitzman to help them debut their new limited edition exclusive Concourse Red "Heist" pump. This pump was created specially for Virgin America flight attendants, with comfort at the top of their design list. I must admit, I was shocked at how comfortable this pump is! I wore these pumps this past weekend to church and carted around my 50 lb carseat, 50 lb diaper bag, and 14 lb baby and they were easy to wear and walk in. I'm used to grinning and bearing it sometimes just to wear beautiful shoes, but I didn't have to sacrifice comfort with these ones! 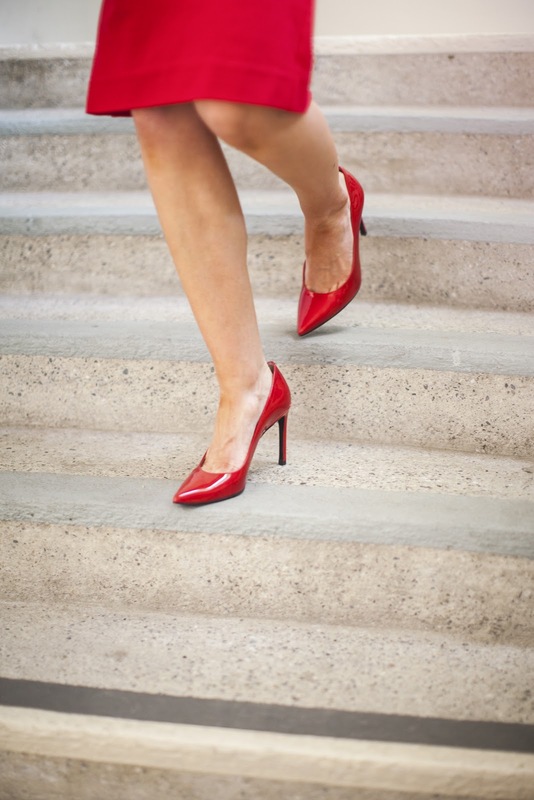 Aside from the impeccable design (perfect heal height- tall enough to elongate your legs without being too tall) and comfortable latex insert, with each pair sold on Zappos.com, Virgin America will donate $20 to the American Heart Association up to $25,000. This shoe not only has your back, it gives back too. Something that we are all looking to do around the holidays!